Hi all! Please welcome one of my favorite Whole Life Yoga grads–and perhaps my overall favorite human being–Mary Bue to the blog today. One of the many, many things I love about Mary is her upbeat attitude. Not to mention her indestructible spirit and way she takes lessons wherever she finds them. Contact Mary at Imbueyoga@gmail.com. Those of you in Minneapolis definitely need to check out her new yoga studio, Imbue Yoga! It was a beautiful, sunny winter day in northern Minnesota. My husband and I were gifted free lift tickets to snowboard at a ski resort because we performed a rock show the night before. I had been wanting to try snowboarding for years and the conditions were perfect. I figured it would be a challenge – but I’m a yoga instructor who has good core strength, balance and mindful breathing. I’ve got this! No problemo, right? Wrong! My husband was a ways down the hill and I thought, “I’ll catch up to him!” For 30 seconds I was having a blast, zooming down but I turned too sharply onto my toe side, did an airborne cartwheel and BAM! Crashed down on my right shoulder. I heard a crack. Doh! The results weren’t looking good – possibly torn rotator cuff. Thankfully the MRI found only a bad sprain, but also a fracture on the tip of my shoulder, such that, should I lift my arm too high, it would chip off requiring sugery. SO, for six weeks, no yoga. Did I mention that during this six weeks I am recording in Nashville, moving, and opening a yoga studio? Life has interesting timing sometimes, doesn’t it? Thankfully I was trained in the yogic lineage of Viniyoga that not only values adaptations but also trains teachers to teach with our voices rather than demonstrating every move. How will this injury make me a better yoga instructor and human? Incorporating a sense of humor. It’s been funny to see the look on a new student’s face when their teacher shows up with her arm in a sling. Have to make light of it! In one class I wanted to applaud my students for an awesome balance posture and told them, ”Here is the sound of one hand clapping for you!” (I thought it was funny). Greater observation. Instead of being glued to my mat, I walk around and watch what is going on in the room, making sure everybody is on the same page, trying to connect with each student with eye contact and a smile. Well designed sequencing. I tend to create classes in the moment depending on what my students want, but I’ll also have some peak postures which I’ll research, share the anatomy and benefits, and get a little off the grid from my habitual teaching routines. 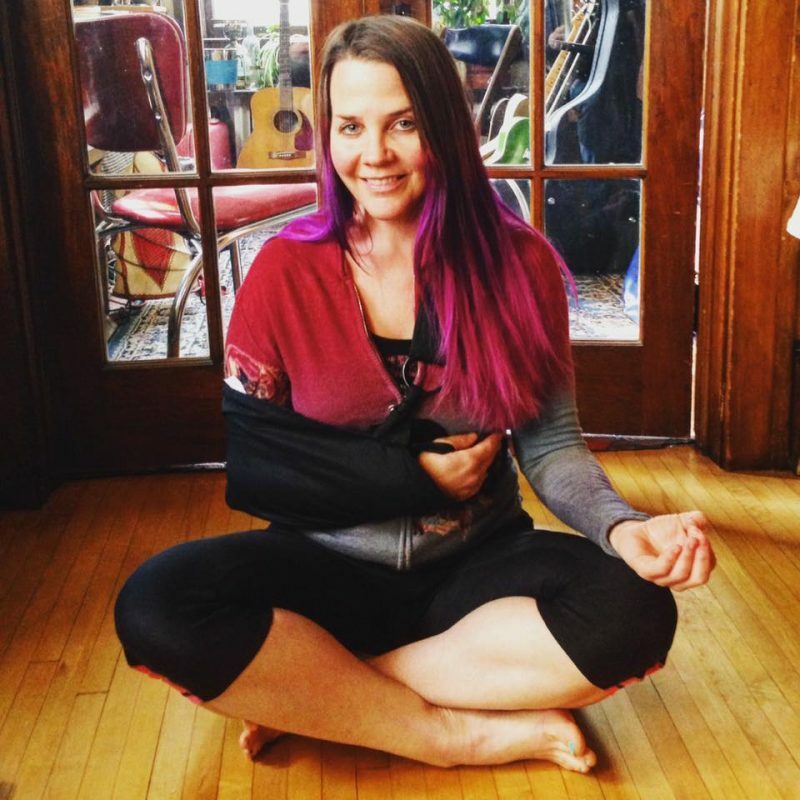 Mary Bue is an indie musician, yoga instructor and brand new studio owner of Imbue Yoga in Minneapolis, MN – grand opening June 11th 2016! She spends her time touring the country, recording (7th album in the works), teaching and practicing Viniyoga amongst the lakes, trees and nice Minnesotans. 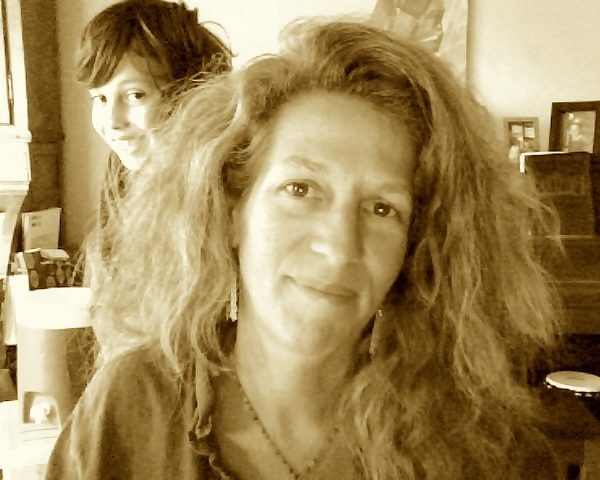 This entry was posted in Guest Writers, Teacher Training Graduate Stories, Teaching Yoga, Viniyoga and tagged Mary Bue on April 25, 2016 by Tracy Weber. Killer Excerpts and Killer Prices! Hey all! This week I’m blogging at Inkspot (the blog for the writers of Midnight Ink). I’m so excited I can barely see straight! A Killer Retreat, the second book in my Downward Dog Mystery Series, was a BookBub featured deal on Saturday! It is still on sale for only $1.99 (normally $10.99) on Kindle, Nook, and Kobo! Sale ends April 23, so don’t wait! In honor of the special sale, I’ve shared a few mini-excerpts from the book and the photos that inspired them. 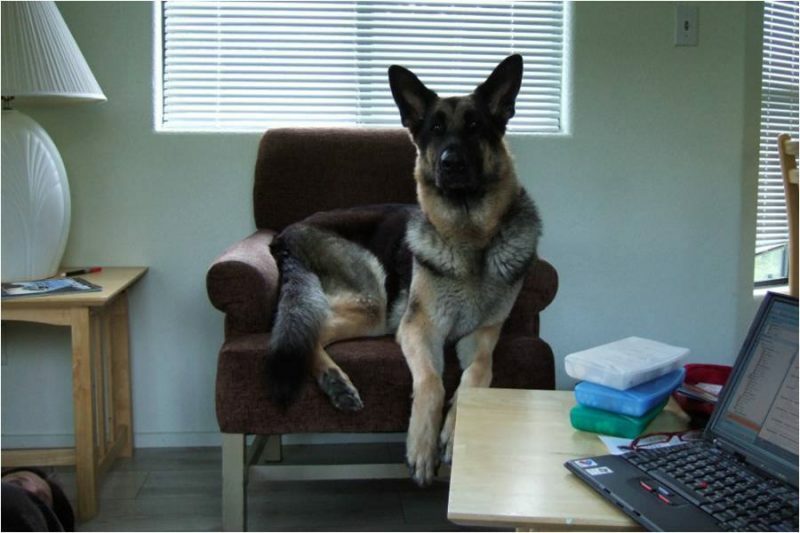 Here’s a teaser photo of the dog that started it all, my German shepherd, Tasha. If you want to see the rest, you’ll have to go to the link! Please share the sale links below with your mystery, yoga, or dog loving friends! Sale purchase links are below. This entry was posted in dog books, Downward Dog Mysteries, writing, Yoga Books and tagged A Killer Retreat, Cozy, cozy mysteries, cozy mystery, dog, dog mystery, dogs, downward dog mysteries, downward dog mystery, inkspot, midnight ink, yoga mystery on April 18, 2016 by Tracy Weber. Most of my yoga students know that I’m vegetarian. I rarely try to influence other people’s food choices, but this weekend I’ll be hanging out at Veg Fest at Seattle Center. So how can I not give a few reasons to go veg? Below are my top five reasons (and a bonus!) for being vegetarian in Seattle. Vegetarianism is good for the planet. Seattleites are known for their dedication to the planet. We reduce, re-use, and recycle. We ban grocery bags. Seattle Kayaktivists keep “big oil” from parking in our harbors. So why aren’t more of us vegetarian? 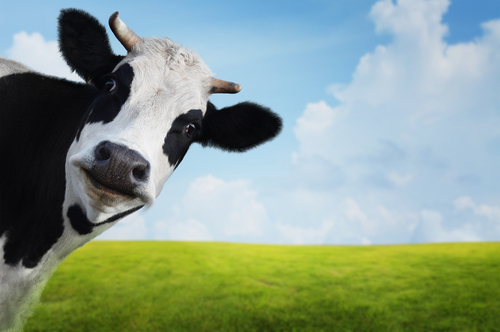 Livestock generates 40% more greenhouse gasses than all of the cars, trucks, and airplanes in the world—combined! So while you’re riding your bike and lamenting the evil petroleum-based cars on the road next to you, know that putting pedal to pavement is only the start. That roast beef sandwich you’re eating creates way more greenhouse gasses than your evil neighbor’s SUV. And if you’re worried about wasting water? It takes up to 15 times more water to produce an ounce of animal protein than it does to produce the same amount of plant protein. Honestly, I don’t understand how anyone can claim to be an environmentalist and still eat meat. Going veggie is good for your health. The benefits of vegetarianism are well documented. Eating a plant-based diet helps prevent health issues ranging from obesity, to diabetes, to arthritis, to Multiple Sclerosis, to heart disease, to osteoporosis, to cancer. And you get way more vitamins from eating veggies than munching on Wilbur or Bessie. Going veggie is good for animals. All of you paleo dieters out there might argue that a meat-based diet has some health benefits of its own. But who on earth can argue that eating animals is good for the animal you’re eating? Love Fluffy and Fido? Pigs are of much higher intelligence. Studies show that chickens may be smarter than cats and dogs (though Tasha would strongly disagree with that assertion.) Cows are down-right sweet. And who possibly couldn’t love a baby goat? The lives of most livestock animals are downright horrific. I won’t go into it here, because it makes me cry. But I grew up on a farm. I’ve seen the cruelty, even from people I love. Anyone who claims to love animals should seriously reconsider their food choices. Seattle is blessed with abundant, delectable vegetarian restaurants. When I go home to Montana, I can’t even order green beans without finding bacon bits scattered within. Here in Seattle, vegetarian choices are everywhere. From vegan Thai restaurants like Arayas to entrees like my favorite black bean pita burger at the 74th Street Alehouse, I can almost always find abundant, delicious entrees at every Seattle restaurant. And if they don’t have veg choices on the menu, most places can create something special. Just ask! Vegetarian grocery shopping is easy! From prepared mock meats to fresh vegetables, to canned food, to frozen vegetarian entrees. The vegetarian options at PCC, Whole Foods Market, even my favorite corner grocer, Ken’s Market, are nothing short of amazing! And the best news yet? You can sample many of those same foods this weekend at Veg Fest! And a Bonus reason: I’ve been a vegetarian for almost 25 years—long before I took my first yoga class. My food choices have nothing to do with yoga philosophy. Still, yoga supports them. The Yoga teachings ask us to live with ahimsa–non-violence. For me, that means eating vegetarian. One beauty of the yoga teachings is that they’re not prescriptive. They ask us to evaluate our own values and live by them. But I ask you to think about it. I mean REALLY think about it. Eating a plant-based diet doesn’t guarantee that you won’t act out in violence. But can you honestly say you live in ahimsa if an animal died for your mid-afternoon snack? I know I can’t. Regardless of your food choices, I hope you’ll come see me this weekend at Veg Fest at Seattle Center. I’ll be there talking about Whole Life Yoga and my Downward Dog yoga and dog-related mystery series. (Which, by the way, has a vegetarian sleuth!) I’d love to see you and give you a hug. And there are hundreds of delicious food samples to try. Vegan ice cream. Can you say YUM? This entry was posted in Yoga Philosophy and tagged vegetarianism, VegFest on April 4, 2016 by Tracy Weber.